Larry is a proud Pittsburgher. He was raised in Mt. Lebanon and attended Pennsylvania State University, where he earned a Bachelor’s degree in Finance. He began his mortgage career in 1986 with a local, family-owned real estate company before moving on to larger, national lenders. 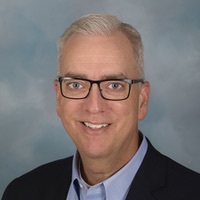 Throughout his career, Larry has been repeatedly recognized as a leader in the mortgage industry, specifically in regard to customer service excellence and sales production. Larry’s approach to mortgage advising is to overcommunicate with his clients from pre-approval through closing. He believes his greatest strengths are accessibility and responsiveness. Larry genuinely enjoys helping homebuyers secure the best possible financing for the biggest purchase of their life. Larry resides in Upper St. Clair with his wife, Jane. Their sons, Jack and Will, attend the University of Dayton. Larry enjoys golfing and spending time with his friends and family. He is an avid Pittsburgh and Penn State sports fan.